Head up! 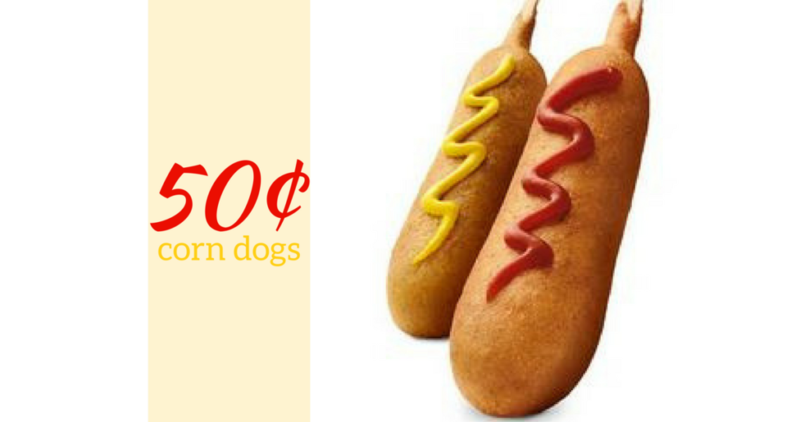 Sonic Drive In is offering 50¢ corn dogs all day long on 3/27! No coupons needed to get this deal just mention it to your server. Also, if you stop by after 8pm, you can get half price shakes, floats and ice cream slushes, making for an affordable and delicious meal. Skip the line and order ahead in the Sonic app. Offer valid 3/27 only at participating locations.